Reverse-tunnel technique enables precise catheter tip location in right atrium. Precise retrograde tip placement. Reverse-tunnel technique enables precise tip location in the right atrium. Two free floating lumens improve patency, flow and lowers recirculation. 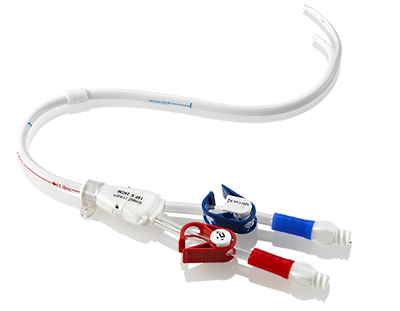 Split tip feature with free floating lumens of the catheters improve patency, flow and lowers recirculation.